Robotics is a multi-disciplinary industry, combining skills such as, mechanical engineering, computer science and electronic design. Building robots is usually a team endeavour, bringing together experts in the fields already mentioned, among many other hi-tech disciplines, such as telecommunications and computer programming. Before deciding on your specialist subject it would be best to acquire as much knowledge as possible in the various disciplines before deciding which field best suits your particular talents. 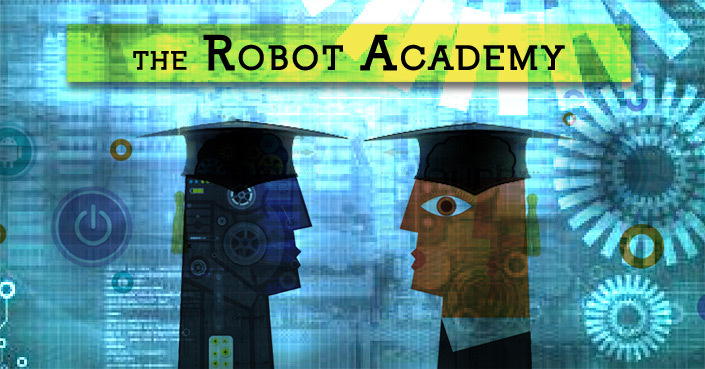 Start with our FREE Robotics Courses and when you feel comfortable with a particular subject you can then take more advanced courses, which will improve your skill set no end and give you an in depth, all round knowledge of robotic engineering, whether you intend building Robots just for fun or as a lucrative career, you will find everything you need at the Robot Academy. How do robots work? Will robots rise up and destroy the human race? What do robots do? As we move into an age of Singularity fuelled by rapid advancements in technology, the answers to all of these questions can only be answered by learning. The study of robotics combines computer science and electronic engineering, which sounds daunting but really isn’t, the basic concepts behind robots and how they work can be learnt by anyone from any walk of life. 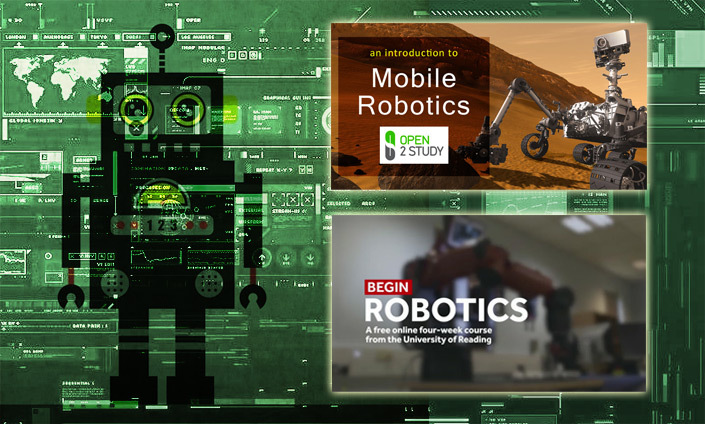 Enrol in one of our FREE Robotics courses and learn what the future has in store for the human race as science fiction becomes science fact.